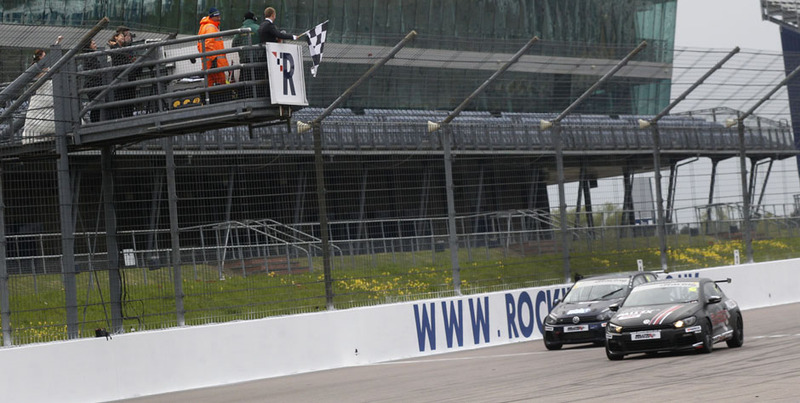 David Sutton continued his impressive run of form in the Milltek Sport Volkswagen Racing Cup with another pole-to-chequered flag race victory at Rockingham this afternoon, his third such win for the SlideSports team from four races. Though he was pushed hard towards the end by reigning champion Joe Fulbrook, the Scirocco driver’s victory was never under great threat. The driver who could probably have taken the fight to Sutton was Lucas Orrock, but the KPM Scirocco man’s race went badly wrong on the opening lap when he was punted into a spin and down to 14th place. Orrock’s battle back to seventh was a highlight of the race and hinted at what he could have achieved had things worked out differently. What triggered Orrock’s problems was a relatively slow start from P2 on the grid which saw his Vindis/Milltek Sport Scirocco swallowed by the pack as the 29 starters approached the tight Deene hairpin; a knock from behind spun him around and out of contention. 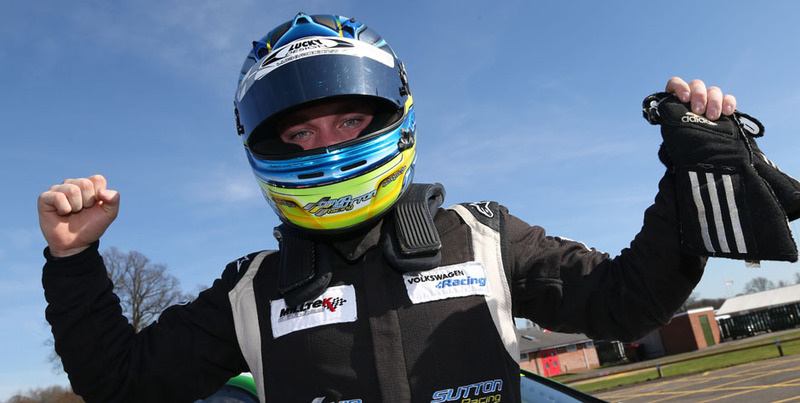 There were no errors from Sutton, who made a textbook getaway from the pole in the Pall-Ex and ADD Express-backed Volkswagen. By the end of the opening lap David was 1.5s clear of Fulbrook’s Safe and Sound Golf and looking comfortable as Fulbrook concentrated his efforts on beating off the attentions of Joe McMillan’s Cobra Engineering Scirocco. 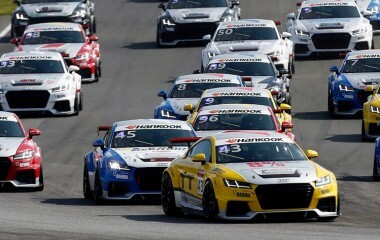 McMillan tried his hardest to find a chink in Fulbrook’s armour for several laps, eventually edging ahead of the champion through Chapman Curve on the sixth lap. Fulbrook bided his time before replying, but had the perfect response four laps later when he drew alongside McMillan around the outside of the Tarzan hairpin to seize the inside for Brook, where he made the pass stick. Aaron Mason made up for a disappointing qualifying with an assertive opening stint to displace the Sciroccos of Jack Walker-Tully and Chris Panayiotou to move up to fourth. 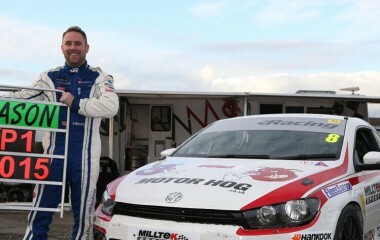 On-form championship newcomer Jason Tingle (Maximum Motorsport Scirocco) took fourth away from him for three laps before running wide at Gracelands on the final lap: “I was just able to nip up the inside of him and retake the place,” said Mason. Walker-Tully, suffering from braking issues and deranged tracking after a first-lap brush with another car, was a disappointed eighth, ahead of Team HARD Golf chargers Bobby Thompson, who has yet to finish outside the top 10 this year, and Michael Epps. 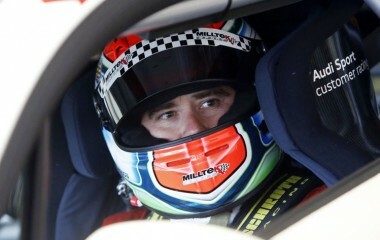 Phil House was 11th in the PH Motorsport Scirocco. 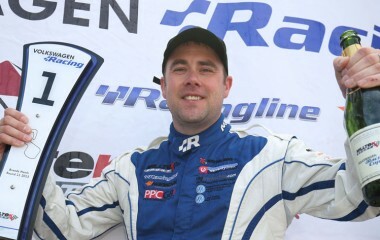 Philip Morris impressed with his pace on a circuit he finds challenging to claim 12th and the Sportsman’s Trophy – his second class victory of the season – in the KPM Golf, with John Stevens (Team HARD Golf) an excellent 13th on his racing debut. 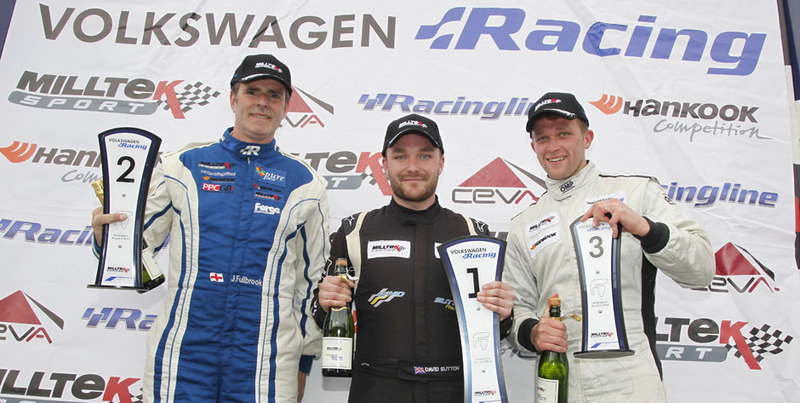 Graham Ewing (SlideSports Golf) and Pete Littler (JWB Scirocco) completed the top 15. There were 25 finishers, with Darrelle Wilson bringing up the rear after a pit stop for a puncture on his self-built TDI Scirocco. Team HARD men Howard Fuller, Simon Rudd and Damani Marcano were early retirees, Fuller stopping after collecting damage, and they were joined on the sidelines by Mark Clynes (JWB Scirocco) on the penultimate lap.